Why are so many construction contracts in SA over budget, late and being carried out at the expense of good relationships between the parties? 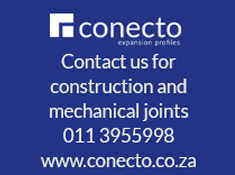 I believe that polarisation in the construction industry is at the root of the problem. At MDA Consulting we deal with construction contracts every day, so it is important to unpack the issues with a view to increasing the number of successful construction contracts to reduce costs for employer and contractor alike and to help facilitate completion on time. There are a number of factors which contribute to polarisation, not least of which is the failure of the contracting industry to transform. In addition, collusion on the FIFA 2010 Soccer World Cup stadiums exacerbated the combative atmosphere. Increasingly, we are seeing more community interference in the operations of contractors as well as extreme threats of violence towards contractors by certain business forums in the Durban area. The reality is that we are in a catch-22 situation. Employer bodies appear to be reluctant to award contracts for infrastructure desperately needed in many cases to untransformed construction companies, and those which have been found to have participated in collusive practices. Construction contract agreements help to manage risk. In South Africa, project-related risk includes changes in the environment in terms of the social, working and business contexts. We have observed that trust is non-existent between the various role players in the construction sector: employers, consultants, contractors, suppliers, subcontractors and perhaps most importantly, the work force. The chance of teamwork amongst these parties is remote, which has had devastating consequences for our industry. One of the main causes of dispute between people or organisations is the inability to communicate and this is exacerbated by a loss of trust. Parties then become reactive and this further compromises relationships and performance. Examples of this include the Eskom contracts for the Medupi and Kusile power stations and the Transnet NMPP oil line. Much of the criticism in the industry for the shortcomings in the implementation of these projects has been placed at the door of the employer organisations. However, a more objective observer would conclude that there were mistakes made by all stakeholders which contributed to the unhappy outcome - particularly the Eskom contracts that have left many of the contracting organisations and Eskom in a parlous financial position. Generally, contract implementation strategies in South Africa are adversarial. We are more comfortable with conflict than working collaboratively! Yet successful contracts are those where the various stakeholders perform as a team. While most of SA’s major construction companies are untransformed, the consulting industry has changed and many of the suppliers and subcontractors are part of an emerging supply chain. Yet, we have a workforce with low productivity which is poorly paid and generally disenchanted - with good reason, given that workers remuneration levels are reported to have fallen, in real terms, by approximately 2% per annum since 1995. Job security is tenuous – since 1994 contractors have shed jobs and downsized their workforce to retain only core site employees. Increasingly, more of contractor’s work is now subcontracted to labour-only subcontractors. At a macroeconomic level, income inequality is massive. Employers argue that the construction industry employs an unskilled workforce that is not easily employable in other sectors. The final element of this toxic cocktail is that productivity is perceived as a management problem by workers and not something that concerns them. The first result is that employers on many large projects impose project labour agreements on contractors. I wondered why it was necessary for Eskom to draw up a project labour agreement for the Kusile and Medupi projects. It is very likely that perhaps they didn’t trust the contractors to agree to a fair deal for the workforce. The project labour agreement has had disastrous consequences for the Eskom contracts and for the contractors participating in those contracts. It has resulted in the undermining of the authority of the contractor’s management and productivity is very low. A second development is the proposed CIDB Prompt Payment Act due to be passed into law shortly. Smaller contractors, including emerging suppliers, will benefit from the requirement that subcontractors must get paid timeously (paid-when-paid clauses will be banned) as well as the requirement for real-time resolution of disputes via adjudication. Local community involvement has caused disruption on a number of contracts and cost contractors millions of Rand to secure their site. A legal precedent was set in a case in which the contractor claimed for the recovery of costs related to securing the site (the Rumdel contract for the Umgeni Interchange in KZN). Risk and responsibility were placed squarely on the shoulders of the contractor. Following the findings of collusion, a voluntary rebuild programme has been agreed between the country’s top seven construction groups and Government. In terms of the agreement, large chunks of the companies will be sold to black-owned entities. Alternatively, black-owned enterprises will be mentored to develop their skills and increase their turnover ten-fold by 2024. While some industry commentators indicate that the programme addresses transformation at the same time as imposing punitive sanctions on collusive companies, the problem with achieving transformation by growing mentored black owned entities is that it requires that work be made available. You can only grow what is in effect a competitor for your work, if there is work available. The alternative is that the mentor organisation must shrink to allow the mentored company to grow. In my view, ownership is not the issue. Listed companies already have relatively high BEE ratings. What it boils down to is opportunity and participation across the board, not ownership. A more inclusive arrangement relies on the availability of skills, education, training and experience, which is in short supply. In a dysfunctional environment which manifests in a lack of trust and a breakdown in communication, contractors have to be more careful who they do work for. As an industry, we also need to look at the implementation strategy that has been adopted, analyse the outcome of our contracts and decide whether the implementation strategy worked. An excessively adversarial model (like the Eskom version of the FIDIC contract) does not provide a workable platform for the achievement of successful contract outcomes. We need to move away from adversarial contract implementation strategies and adopt a collaborative approach, which requires a new culture. We need to transform our cultures to align with the other parties to the contract, for the overall good of the contract, rather than putting our own interests ahead of the other stakeholders. This requires strong leadership and the re-establishment of trust.